Gypsy Stash by Paula: Yummy . 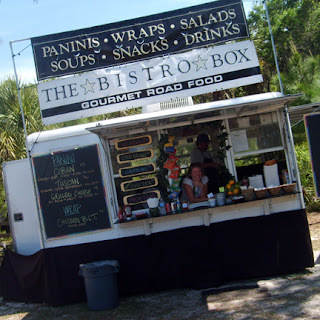 . .
As many of you already know…..Chad, Destiny and I travel around Florida on the weekends and setup our all natural soap booth at craft shows and festivals. We have the best time meeting new people, sharing our products and promoting awareness of the advantages of using natural products with aromatherapy benefits. In the past few months we keep running into this amazing young couple from The Berkshires of Massachusetts. They prepare yummy healthy food from their traveling food concession called The Bistro Box. I am now official addicted to their fabulous Tuscan Panini. 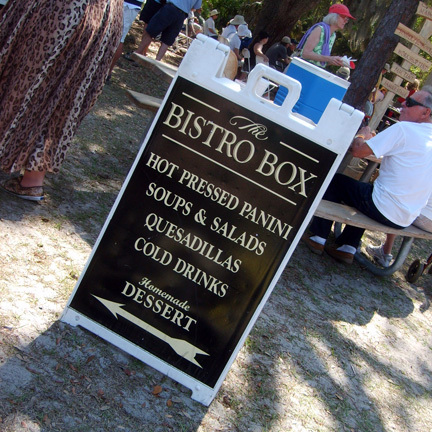 Visit them on Facebook at The Bistro Box. 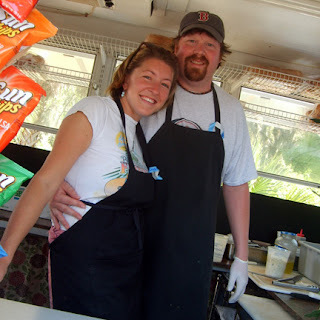 Birdie and Nick cooking and serving gourmet road food......yummy. Exciting News! 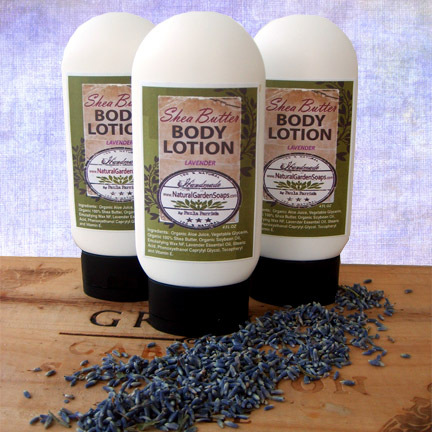 Brand "New" Product Line "I am so excited to announce our new Lavender Shea Butter Body Lotion. 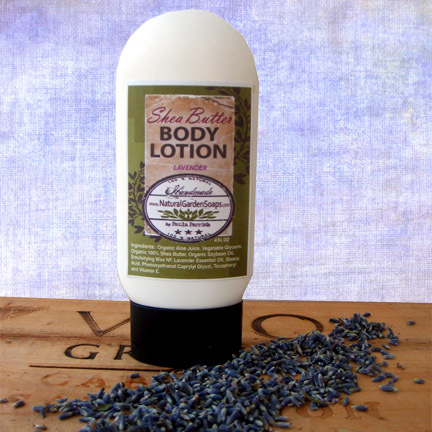 This body lotion is enriched with Organic Shea Butter, Organic Aloe Juice, Vegetable Glycerin, Organic Soybean Oil and Vitamin E. This lotion is sure to leave your skin feeling soft, smooth and healthy, naturally. 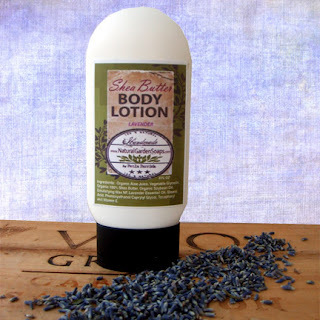 This lotion is scented with the amazing smell of lavender essential oil. 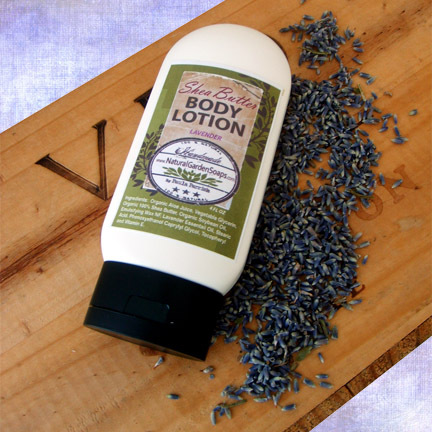 The health benefits of Lavender Essential Oil include its ability to remove nervous tension, help you sleep, relieve pain, disinfect scalp and skin, enhance blood circulation and treat respiratory problems. Lavender essential oil has a calming scent which makes it an excellent tonic for the nerves and helps in treating migraines, headaches, anxiety, depression, nervous tension and emotional stress. Its refreshing aroma removes nervous exhaustion and restlessness and increases mental activity. This Shea Butter Body Lotion ~ Not Greasy; Moisturizes Well; Goes On Smoothly; Long Lasting; Softens Skin. No artificial colors, parabens, synthetic fragrances, or petroleum by products. Buy this online at http://www.naturalgardensoaps.com/Natural_Lotions.html. Hi Paula! I love your soaps. 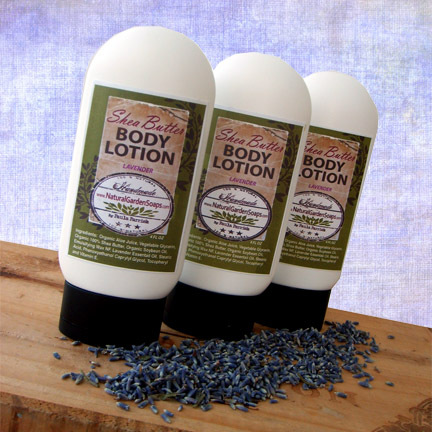 I told the owner of Super Nitrition Store, when he suggested and lavendar body wash, that I had access to the best "all natural soaps" anyone could buy. You do an amazing job with creativity as well as ingredient. I love giving them as gifts. They are always met with ecstasy! Go Paula! Hi Paula! It was great to finally meet you in person this weekend at Fiesta in the Park here in Orlando. 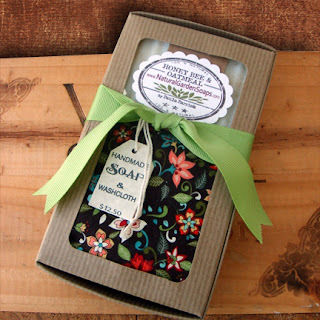 My husband Rick is thrilled to have lots of new Man's Soap, and I enjoyed carrying them around that afternoon... their wonderful scent kept wafting from the cute little brown shopping bag (my favorite part..LOL). I'm following, as promised, and look forward to keeping up with your blog and wonderful soap items. The gift sets are beautiful; hoping to win one! :-) And, as my consulting business takes off, I'd love to give sets as gifts to favorite clients. I'll keep you updated. BTW: love the photobucket widget. The pics are fantastic! Take care and here's hoping you get some rest after a loooonnnng weekend at Lake Eola! P.S. ~ Thanks for info about The Bistro Box... hoping to see the 'cute young couple' in Orlando sometime... Hubs and I LOVE yummy, healthy food!! I am so glad that you and your hubby made it by our soap booth this past weekend. It is always nice to meet our customers. Enjoy your soap! I've been purchasing and using the Honey Bee and Oatmeal soap for over a year now. It's so gentle on my skin and helps with my psoriasis, and it comes in scented or unscented. Since I've started using this soap, I don't want to use any other! Thanks for checking out my blog and for your new soap order. I am so happy that the Honey Bee and Oatmeal Soap gives you relieve with your psoriasis. Stay well and hope to see you soon.